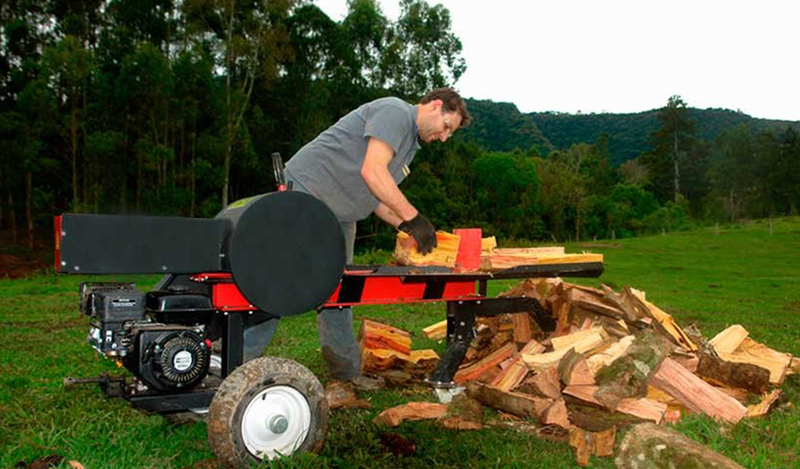 Mechanical drive through the ratchet and pinion assembly provides instant knocking against the wood. 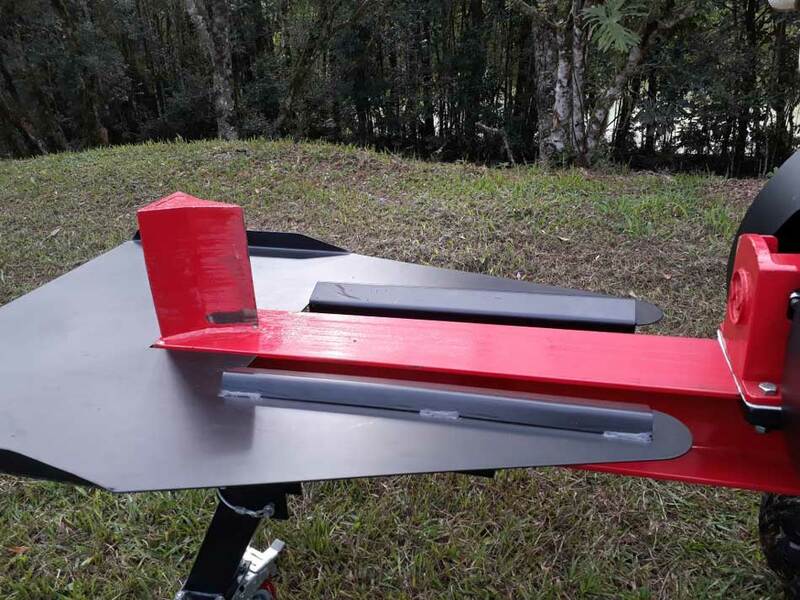 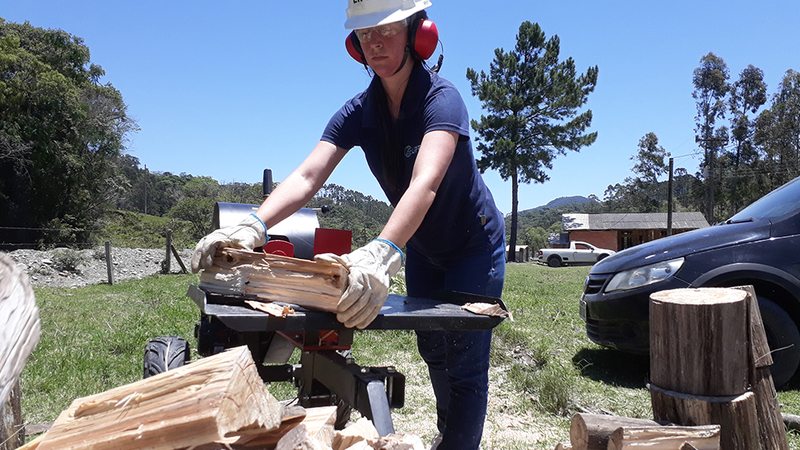 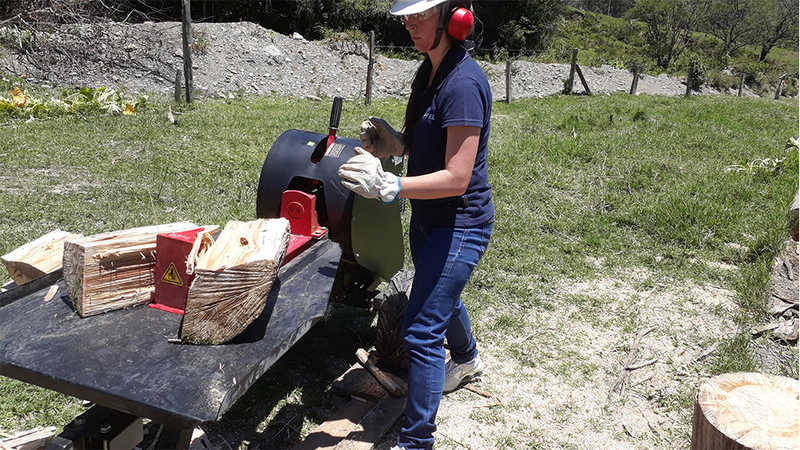 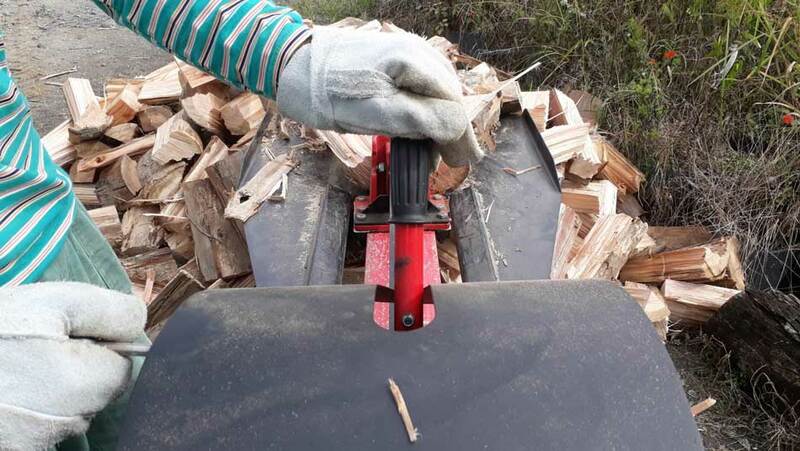 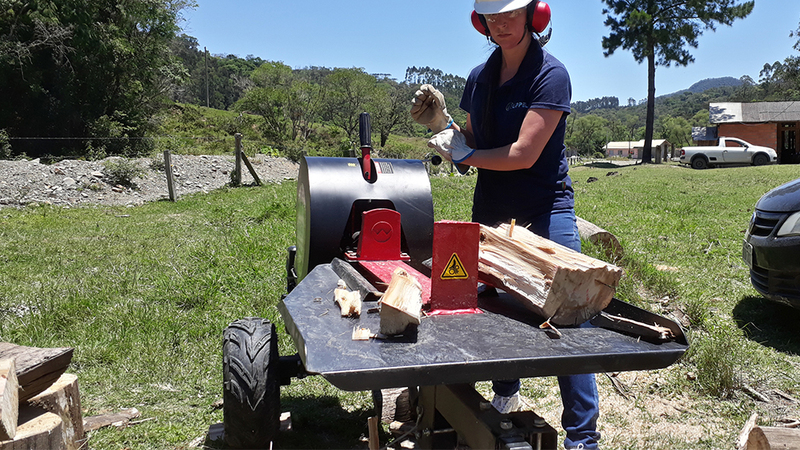 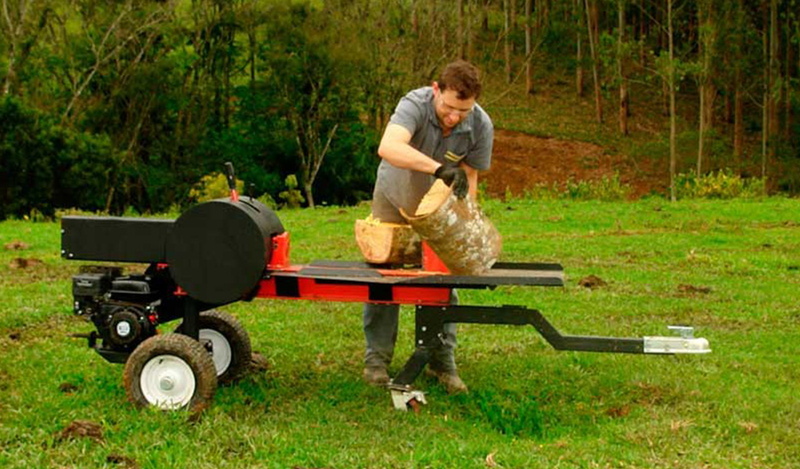 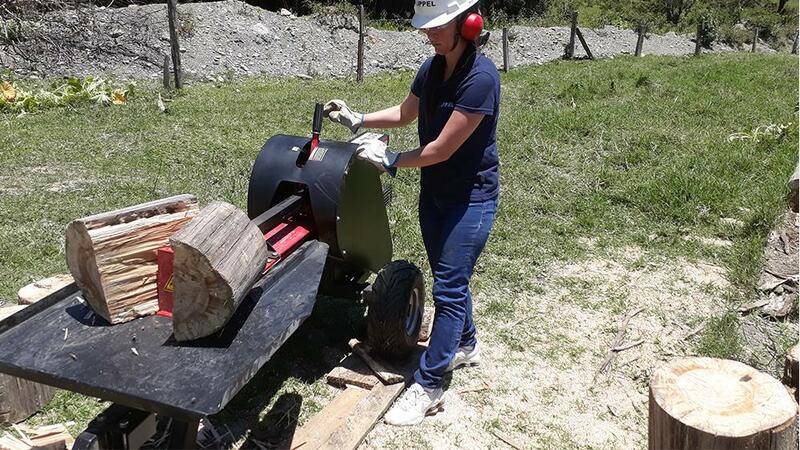 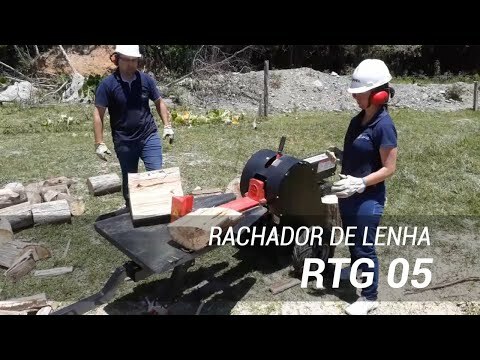 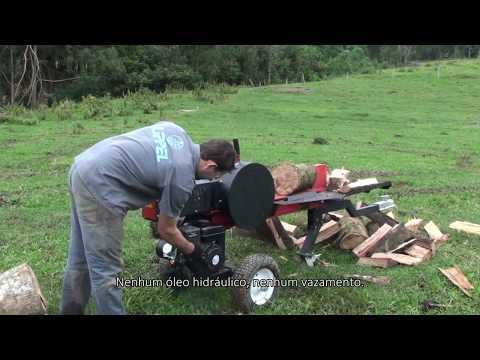 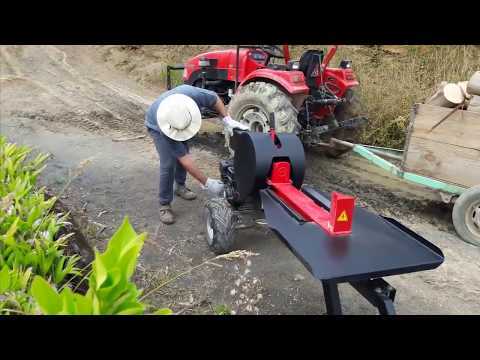 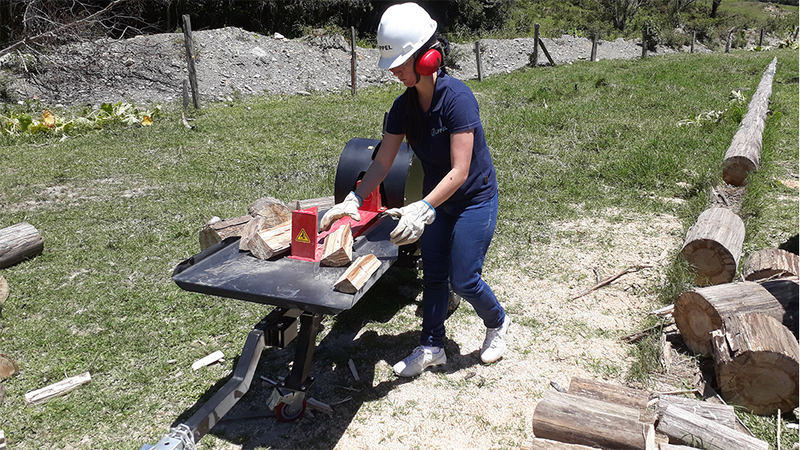 One of the most practical firewood and log splitters on the market, having its design based on the speed to split logs with high productivity and safety to the operator. 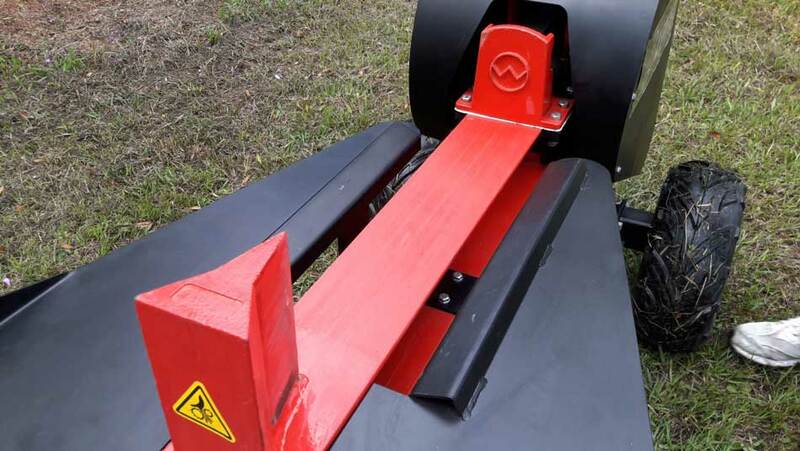 In order for the impact assembly to be actuated, the operator must have both hands on the equipment, which are allocated to the safety lock and the drive lever. 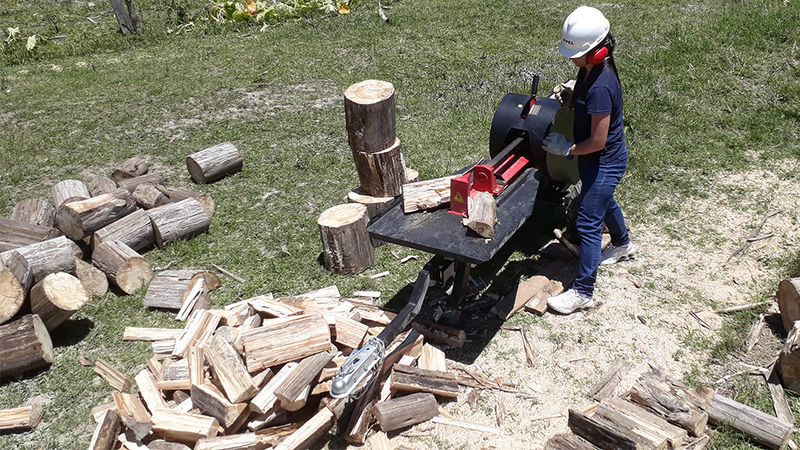 At the end of the cycle, the assembly returns to its starting point by locking the system again, preventing the assembly from being moved as the operator removes the splitted wood. 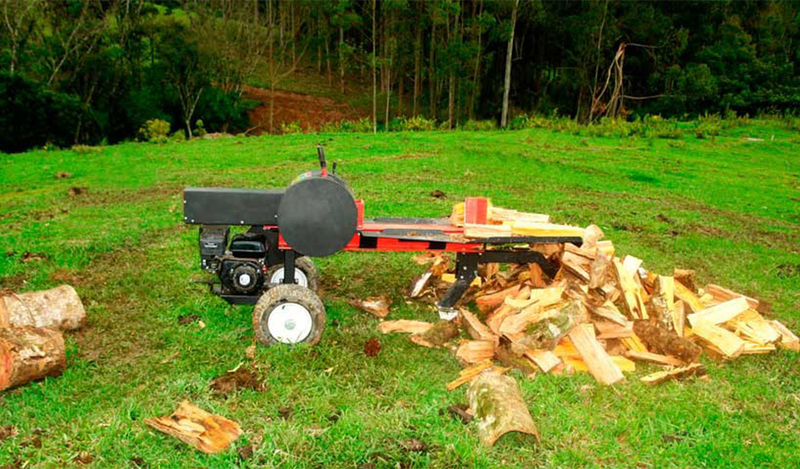 Compact, it guarantees to the operator practicality at the moment of the work, allied with 6,5 HP petrol engine, transmits power through V-belts, releasing force and speed to the steering wheel counterweight, system of high performance of production transforming RTG 05 like more productive of the category .